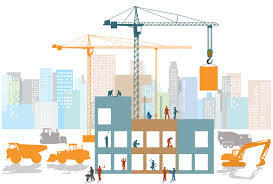 The construction industry is a major contributor to the United States economy. The industry generates approximately $600 billion in revenue and creates nearly $1 trillion worth of structures each year. Based on current economic projections the construction industry is on a trajectory for sustained and consistent growth, which will provide a broad range of opportunity for industry member firms and employees. This being the case the service provider supply chain must be strengthened and bolstered through the addition of new and diverse participants. From the general contractor perspective the biggest component of the supply chain are not our employees, but our subcontractors. Subcontractors perform the actual trade work that General Contractors coordinate, manage, and supervise. In most cases, modern era General Contractors self-perform less than 5% of all the work they manage. Subcontractors primarily handle all of the self-performance activities related to putting work in place. Concrete finishing, drywall, painting, electrical, mechanical, plumbing, landscaping, and just about any other trade related function is handled by trade subcontractors. Every team is only as good as the sum of its parts, and trade subcontractors are an extremely important facet of a robust and sustainable service provider supply chain. Greater involvement and engagement by all members of the project team with perspective diverse subcontractors. We are a relationship based industry, and the pre-construction, project management, and site supervision team members must be actively engaged in “getting to know” new and diverse subcontractors. Everyone needs to be a part of the relationship building process. Focus on attracting quality diverse subcontractors that are positioned to grow capacity and looking to improve operational structure and output. Selecting contractors based solely on diversity is a losing proposition. Supply chain participants must be selected based upon how they align with company goals and values. Create and facilitate training and engagement programs that develop subcontractors. Just because a subcontractor is not ready for “major league” construction today does not mean they cannot be a viable and impactful contributor in the future. Foster an environment where subcontractors are encouraged to learn more about the company and grow into a role where they can become a strong contributor. At the end of the day the construction industry must take a more long range view on diversity and diverse subcontractor recruitment and development. In order to reach out and grow our diverse subcontractor supply chain we must engage and utilize diverse subcontractors as a mechanism that supports the business case, not just because of policy mandate or procurement supply chain sourcing specifications. We must pursue diversity as an industry because we want to do it, not because someone or something is making us do it.